Why do we do mitzvot? The immediate answer is, “Because that’s the way I was raised.” Rabbi Mecahnic approached the question from the different angel of “Well, why not?” Rabbi Mecahnic explained that all other religions in the world see themselves as the chosen nation and everyone else is wrong. Jews also see themselves as the chosen nation, but do not impose their religion on others. As long as these non-Jews abide by the Seven Mitzvot Bnei Noach they are fulfilling their obligation. Additionally, while all other religions originated between one man talking to God, like Muhammad, Jesus, or the Buddha—Judaism doesn’t ask us to entrust our full faith and support into one individual. In Judaism rather Hashem is explicitly written to have spoken to the entire nation at Har Sinai. Rabbi Mechanic pointed out that our religion is millions of people following millions of witnesses. Other religions are billions of people following one man’s claim. If Hashem indeed left us, why did He not tell us? If Hashem wanted to give another Torah and start a new religion, why didn’t He make another Har Sinai event? Why didn’t these other religions just write in their books that Hashem appeared to a group of people? The answer is that it all falls on one man. We can’t put our entire life in the heads of one man. Our ancestors conversed with God, and therefore we dedicate our lives to honor this connection. The Pesach seder is the best proof that our religion is a mesorah that has been passed down since Moshe Rabeinu without any breaks in the chain. It is our obligation to keep this chain going. This past weekend was Junior Seminar, where Yeshivah of Flatbush eleventh grade students had the opportunity to get inspired over Shabbat with many of our faculty members and alumni advisors. 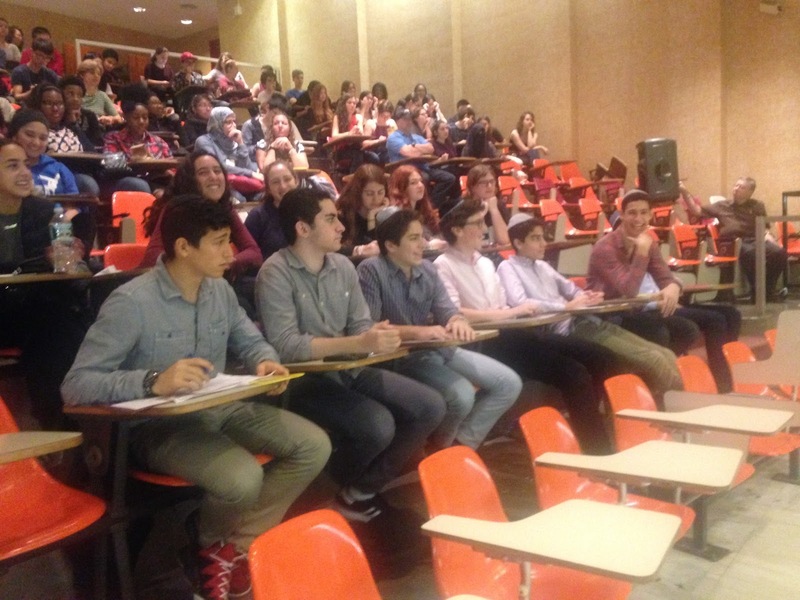 The theme of this year's Junior Seminar was CHESED. We started off the Seminar experience on Wednesday with various chesed trips throughout the day and visited Imagine Academy, SBH, Ohel Children's Home, and to visit the elderly in Haym Solomon Nursing Home. Everyone's faces lit up with joy while taking part in these acts of kindness. On Thursday, we gathered in an assembly to listen to Mrs. Zaltzman's inspiring experiences with chesed. As the weekend began, everyone was ecstatic to spend time in the Berkeley Hotel in Asbury Park, NJ. After we arrived we watched a few videos and later heard from DJ Cohen who shared with us his life experiences and about how even through hard times others acts of true chesed can make a huge difference. After a little free time, Pre-Shabbat ruach began with a meaningful singing and dancing. During Kabbalat Shabbat, Rabbi Kramer's Dvar Torah taught us how without the true values of Judaism, people tend to lose track of what's true. After dinner, we gathered in a circle for more singing. Señora Ovadia gave a beautiful speech about Rachel Emainu's act of chesed, giving up her groom in order to prevent her sister from being embarrassed. We also heard from Rabbi Levy who also focused on the theme of chesed. The night's sessions were about the difference between fun and happiness, and how to find Hashem all around us. At the tisch, the students gathered to hear about one another's experiences with chesed, whether they were on the giving or receiving end. Many students opened up, leaving the grade to feel united as one. Shabbat morning prayers included another Dvar Torah, given by Rabbi Lubner, who made reference to the recent acts of terrorism in Israel and the unity of the Jews around the world. In the elective session of Shabbat morning, each group discussed a personality trait and how to incorporate chesed into the specific trait. After lunch, Mr. Hofstetter spoke about how instead of looking for the people who do chesed in the world, we should become those people, and in that way we can mend a broken world. After free time, we reassembled for Seudah Shelesheet, which included a spiritual singing circle and speeches, given by alumna Celia Tawil and Rabbi Besser. The whole Shabbat experience left us with a yearning feeling to incorporate chesed into our lives. Motzei Shabbat began with Rikkudim, followed by Class Wars. The grade split into their classes to compete in fun games, such as musical chairs, tushie volleyball, name that tune, and trivia. The night was ended off with one last kumzitz, motivated by the acts of terror in Israel and throughout the world. On Sunday morning we gathered for breakfast and a slideshow; the grade smiled as they watched the memories of Junior Seminar. We would like to thank everyone who helped organize seminar and for making sure everything ran smoothly, especially Rabbi Besser. Everyone had a blast and walked away inspired! 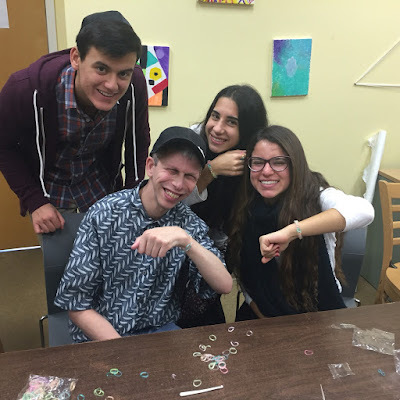 On Tuesday, October 20th, the Yeshivah of Flatbush Traveling Troupe had its first trip of the 2015-16 school year! Fifteen musically talented Yeshivah of Flatbush students, travelled all the way to the Bronx in their continued efforts to bring the joys of music and performance to the sick and elderly. This program, sponsored by Victoria and Jack Aini, is a great way to unite the young with the sick and elderly through a shared love for music and performing arts. The residents of Jewish Home Life Care in the Bronx were excited to see the faces of our students and even more eager to hear them belt out in song and play their instruments so wonderfully. The new leaders of the Traveling Troupe for the 2015-16 school year cannot wait to continue expanding their Chesed work and hope to include more of the multitalented student body in their initiative. Be sure to look out for information about getting involved! On Monday, October 27th, Sophomore and Junior students at the Yeshivah of Flatbush were fortunate to have an inspiring assembly about Israel and Jewish solidarity. Miriam Peretz, a bereaved mother, shared her personal story of grief, faith, and resilience. It was a true honor for our students to meet such a special woman. Her message will have a lasting impact on us all. We thank One Family, an organization that provides support to injured and bereaved families across Israel, for arranging this special program for us.